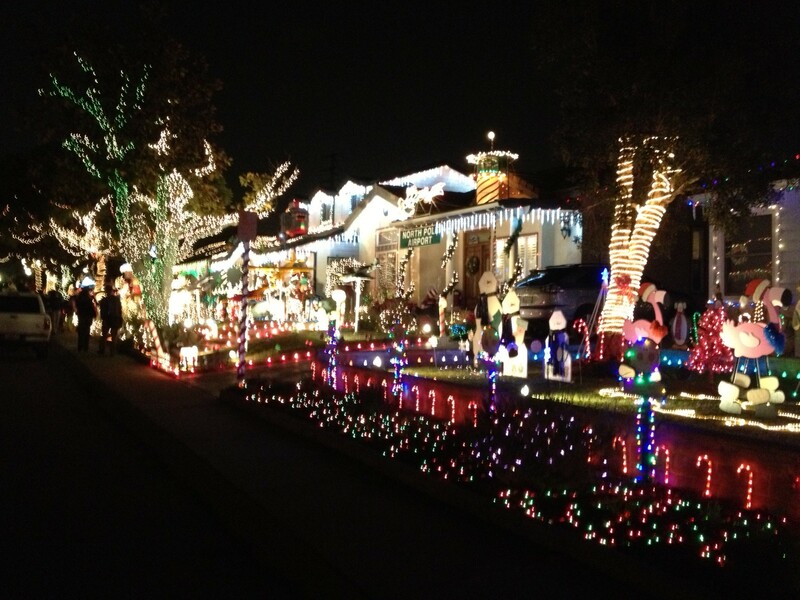 If you’re looking to enjoy some local Christmas activities before we head into the weekend, check out Candy Cane Lane in El Segundo. 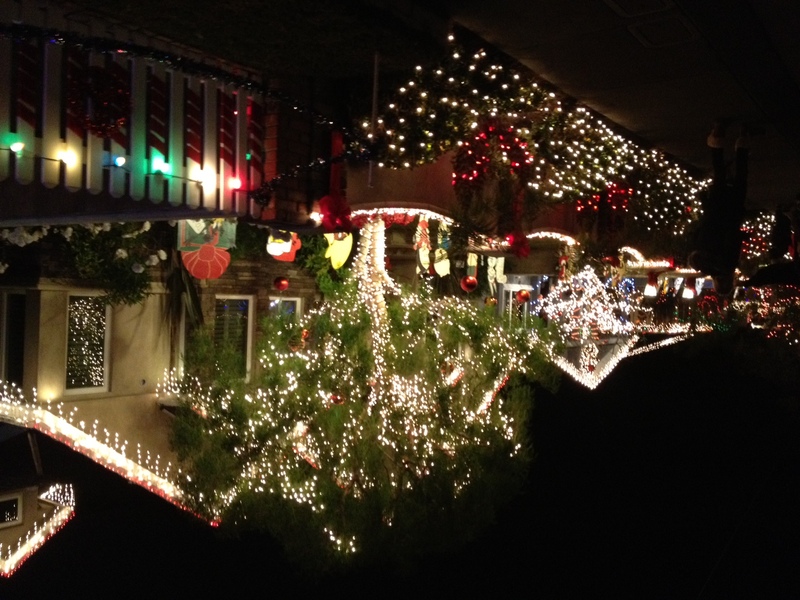 The residents of the 1200 Block of Acacia Avenue have made this event a popular holiday tradition in El Segundo for more than 60 years. My friends brought me here on Sunday night and it is a great sight to see if you enjoy the Christmas holiday. Here are a few photos and a short video clip I took of Acacia Avenue, although it doesn’t do this spectacle much justice. The magnitude of the lights and decorations is amazing. 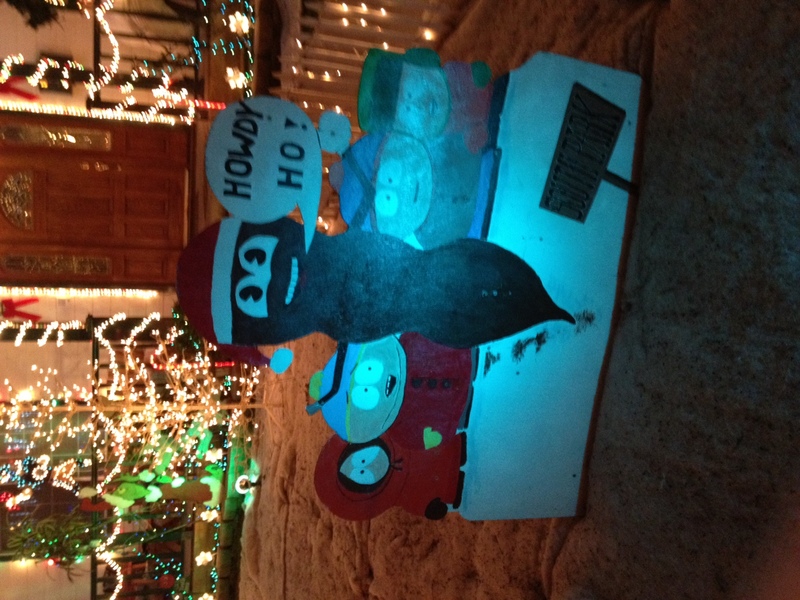 Candy Cane Lane offers every Christmas decoration imaginable in one block of houses. Trains, reindeer, giant characters, music – it’s all there. They encourage visitors to donate canned food for needy families in El Segundo. Candy Cane Lane runs until December 23.